We use USPS Standard Shipping as our primary shipping option. The majority of products will ship in less than 48 hours. Alternate shipping methods are available per request. Just email us! Custom Orders may take 5-7 business days to ship, our customer service will be in contact with you should a custom order require more time. We are committed to your privacy and security. We do not use your information in any way other than to ship you your product. We will never sell or redistribute your information. We also use SSL encryption to take payments, ensuring your credit card information is safe at all times. Please refer to our Return Policies for details. If you have any problems placing your order, we will be glad to take your order via email. Just email us at email@tactical-expressions.com and we will take care of everything for you. We will gladly conduct business over the phone if you so desire, however by appointment only. 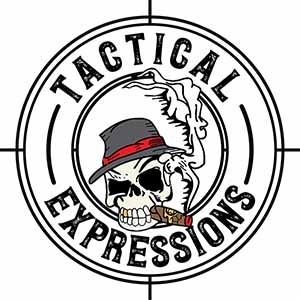 To have an appointment made for one of us to call you on the phone, just send us an email at email@tactical-expressions.com and we will arrange a suitable time.